"Cult of Personality" is a song by rock band Living Colour. It was their second single off their debut album, Vivid, released on July 14, 1988. "Cult of Personality" reached No. 13 on the Billboard Hot 100 and No. 9 on the Billboard Album Rock Tracks chart. It also won the Grammy Award for Best Hard Rock Performance in 1990. Its music video earned the MTV Video Music Award for Best Group Video and MTV Video Music Award for Best New Artist. The song was ranked No. 69 on VH1's 100 Greatest Hard Rock Songs. The solo was ranked No. 87 in Guitar World's "100 Greatest Guitar Solos" list. It was also selected for inclusion in the musical reference book, 1001 Songs You Must Hear Before You Die: And 10,001 You Must Download. The band's founder, Vernon Reid described the song as very special for the band not just for its commercial success but because it was essentially written in just one rehearsal session. The riff was stumbled upon while practicing something else and by the end of the session they had written what was to become Living Colour's best known song. The song contains many political references, and shares its name with a phenomenon involving psychology and politics. The title comes from Soviet leader Nikita Khrushchev's 1956 anti-Stalin report, On the Cult of Personality and Its Consequences. During rehearsals at the band's loft in Brooklyn in 1987, singer Corey Glover was humming some notes. Guitarist Vernon Reid opened his small notebook of quotes and phrases for lyrical inspiration, and turned to a page where he had scribbled, "Look in my eyes, what do you see? The cult of personality." "Cult of Personality was about celebrity, but on a political level. It asked what made us follow these individuals who were larger than life yet still human beings. Aside from their social importance, Malcolm X and Martin Luther King both looked like matinee idols. That was a strong part of why their messages connected. Even now it’s why Barack Obama has that certain something." "That cool riff had a Zeppelin-ish vibe, but also a Mahavishnu Orchestra thing going on. It was based on a series of notes that Corey had sung – my attempt to repeat that [on guitar]. I already had the lyrics, but with the music in place it very quickly took on a life of its own." "Cult of Personality" prominently includes several audio samples of speeches from 20th-century political leaders. "... And during the few moments that we have left, ... We want to talk right down to earth in a language that everybody here can easily understand." "... And during the few moments that we have left, we want to have just an off-the-cuff chat between you and me—us. We want to talk right down to earth in a language that everybody here can easily understand." During a rest in the music at 4:35, John F. Kennedy's inaugural address is heard ("Ask not what your country can do for you ..."). The song ends with Franklin D. Roosevelt saying "The only thing we have to fear is fear itself", from his first inaugural address. The lyrics also mention Benito Mussolini, Joseph Stalin, and Mahatma Gandhi. According to Vernon Reid, Adolf Hitler was originally also in the lyrics but was pulled due to fear that referencing him would be misconstrued and too controversial. A shortened version appeared in Grand Theft Auto: San Andreas soundtrack on the in-game alternative radio station Radio X. The band re-recorded the song for the video game Guitar Hero III: Legends of Rock. This version was also included in Guitar Hero: Smash Hits. It was included in the video games Shaun White Snowboarding, Rock Band Blitz, NBA 2K16 and Guitar Hero Live. The New York Islanders use this song for their home games at Nassau Veterans Memorial Coliseum. Several Rutgers Scarlet Knights athletics teams use the song when starting lineups are introduced. In 2009, the song was used by the WWE in a video promoting Stone Cold Steve Austin's induction into the WWE Hall of Fame. In the film The Proposal, the song was heard as Andrew (Ryan Reynolds) is listening to his iPod on full volume, angrily chopping against the old wooden canoe. Former professional wrestler CM Punk used this song as his entrance theme during his time in Ring Of Honor and in WWE. The latter usage was introduced with CM Punk's surprise return to the company after winning the WWE Championship at the end of his contract in 2011. The band performed the song live at Wrestlemania 29, during CM Punk's entrance. Punk also used the song as his walkout music while making his UFC debut at UFC 203. Radio host and former Illinois Congressman Joe Walsh uses the song as an element of his top-of-the-hour bumper music track. ^ Terich, Jeff; Blyweiss, Adam (October 3, 2012). "10 Essential Alternative Metal Singles". Treblezine. Retrieved December 26, 2018. ^ Grierson, Tim. "Top 10 Essential Alt-Metal Songs". About.com. Archived from the original on March 3, 2016. Retrieved December 26, 2018. ^ "spreadit.org music". Archived from the original on February 12, 2009. Retrieved February 5, 2009. 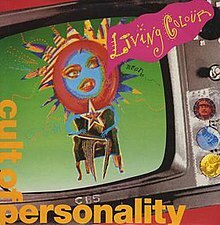 ^ ""Cult" Classic: How Living Colour made one of the most prescient albums of the 20th century, and conquered rock 'n' roll in the process". The Ringer. Retrieved March 20, 2019. ^ "The Story Behind Living Colour's Cult Of Personality". Louder. Retrieved March 20, 2019. 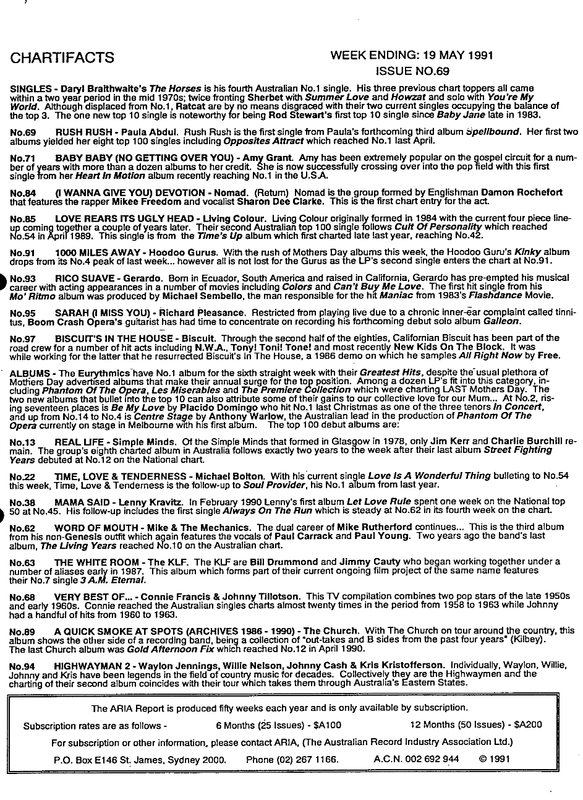 ^ "Chartifacts > Week Ending: 19 May 1991 (from The ARIA Report Issue No. 69)". Imgur.com (original document published by ARIA). Retrieved August 24, 2016. ^ "Charts.nz – Living Colour – Cult Of Personality". Top 40 Singles. ^ "Official Charts > Living Colour". The Official UK Charts Company. Retrieved August 24, 2016. ^ "Living Colour Chart History (Hot 100)". Billboard. ^ "Living Colour Chart History (Mainstream Rock)". Billboard. ^ "GTA San Andreas Radio X Soundtracks Playlist on Spotify". Rockstar Games. ^ Sinclair, Brendan (October 5, 2007). "Q&A: RedOctane cofounder Charles Huang". GameSpot. Archived from the original on October 16, 2007. Retrieved August 17, 2015. ^ "Rock Band Blitz Setlist and Power Up Announcement". Archived from the original on 2012-06-10. ^ "NBA 2K16 Soundtracks Playlist on Spotify". 2K Games. ^ Schwartz, Nick. "WWE stars react to CM Punk's loss at UFC 203". FoxSports. Retrieved September 11, 2016.